Every New York State Assembly district is supposed to contain an equal number of people. This ensures that all state residents have equal voting power and equivalent access to their elected representatives. Prisoners are not in the district by choice and they are not allowed to vote. 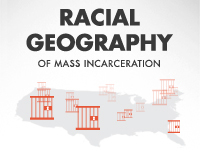 But the U.S. Census counted prisoners as if they were residents of the prison towns, distorting the town populations. After the 2000 Census, New York State Assembly Districts were supposed to contain 126,510 residents each. 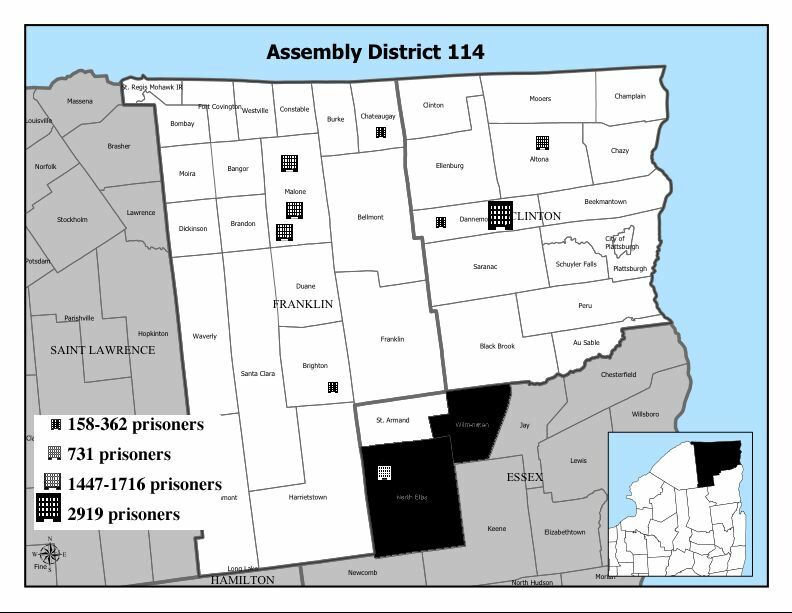 But Assembly District 114 made up part of its "quota" of constituents with 9,251 prisoners in 8 state prisons. Because the prisoners are not residents of the district, the district is actually short 9,251 constituents. Building a district in part on a phantom population decreases the number of real residents in the district. 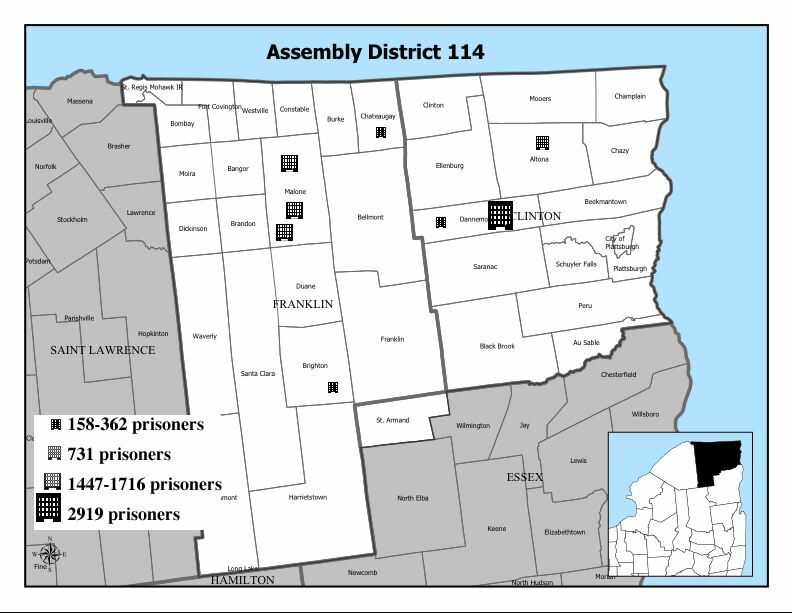 The artificial prison population improperly increases the weight of a vote by district residents and decreases the weight of a vote in other Assembly districts. Each group of 93 residents in District 114, gets represented in Albany as if they were 100 people. 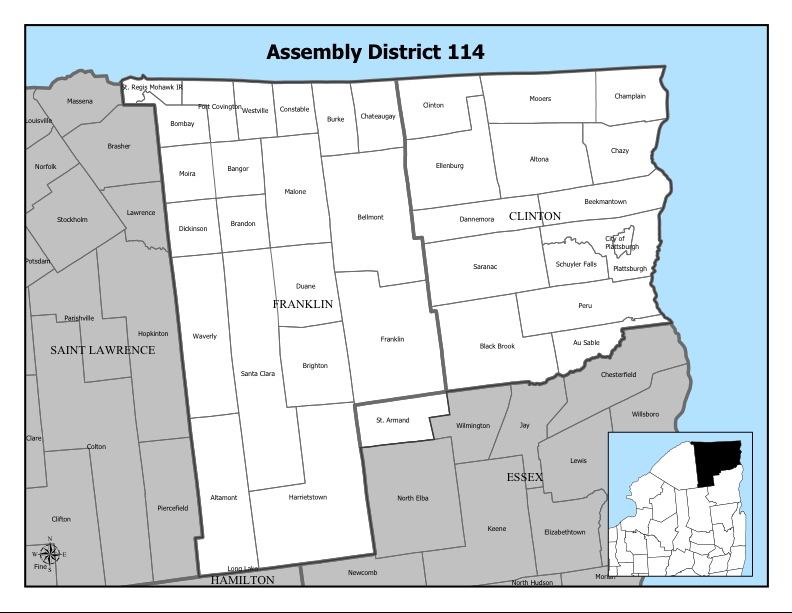 Without those phantom residents, District 114 would need to be drawn larger to add additional residents. The most likely change would be to include North Elba and Wilmington with 9,084 non-prisoner residents. (See example map below.) 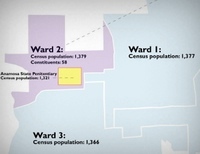 District 113 which currently contains these two towns would need to be redrawn to replace that population, plus the prisoners the Census credited it with. The cascading effect of correcting for prisons would likely mean new district lines state-wide. Note: Artificially increasing the population of the district leads to the district becoming geographically smaller in order to have the same reported population size. 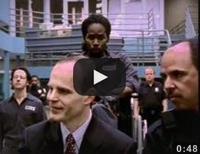 Artificially decreasing the population, as is the case in the New York City prisoner-exporting districts, makes the districts geographically larger than they would otherwise have been in order to keep the same reported population. Districts are drawn to contain a certain number of people, but the population size of potential district is changed by changing what towns or streets are included or excluded in the district.